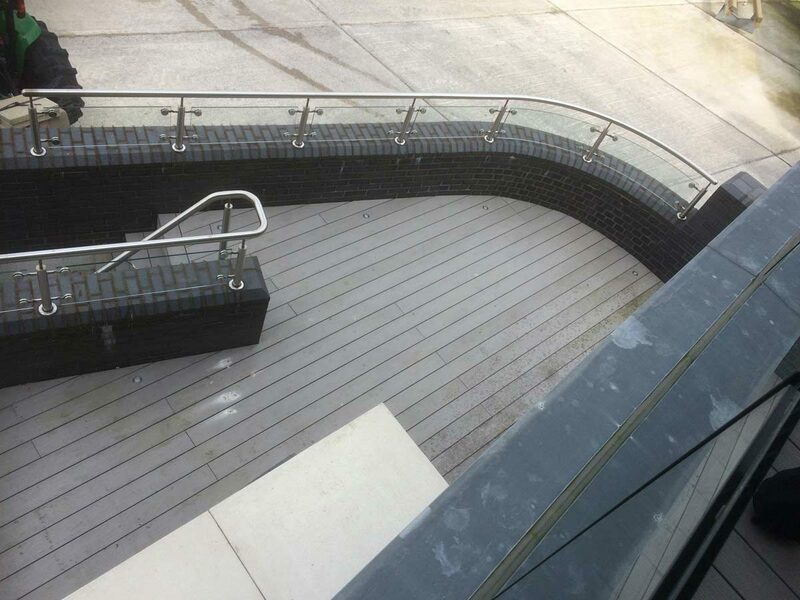 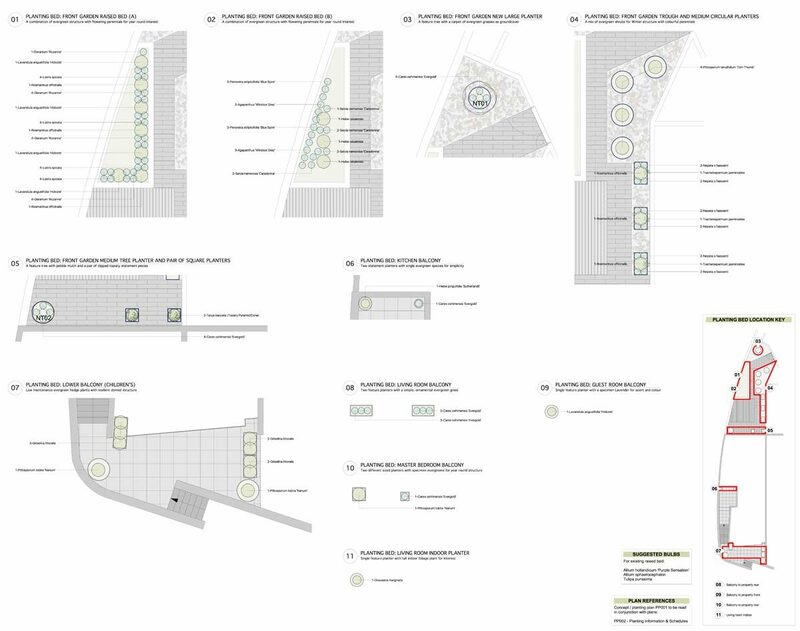 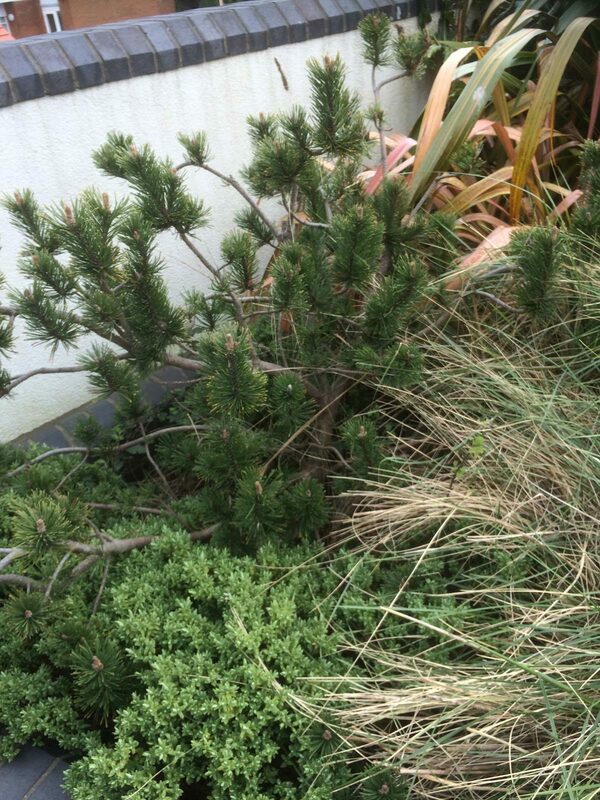 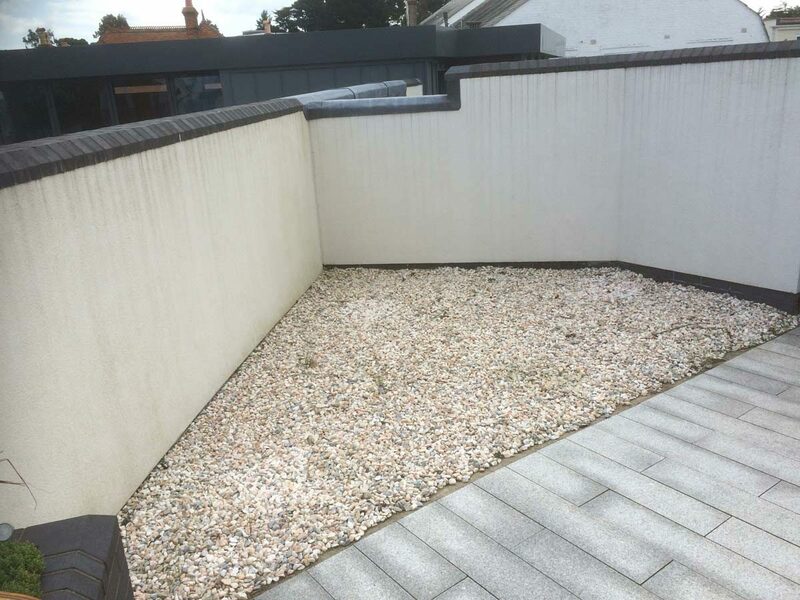  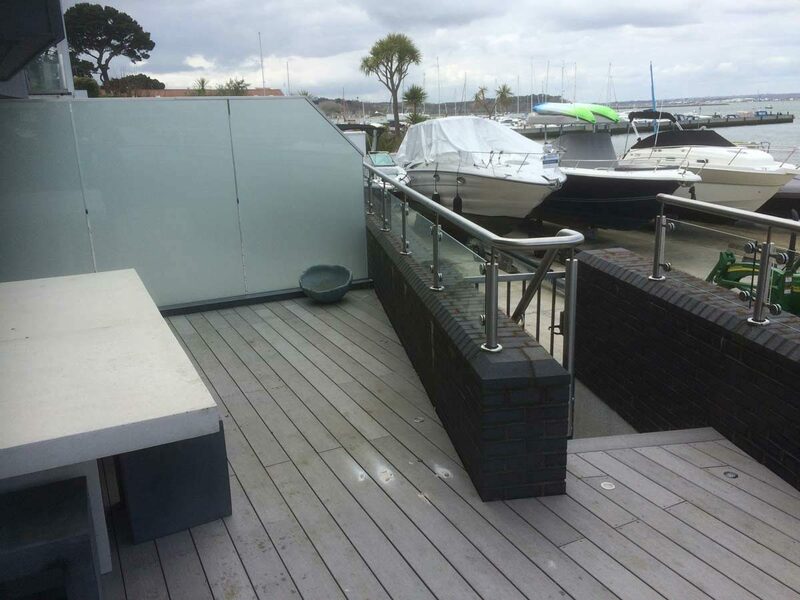 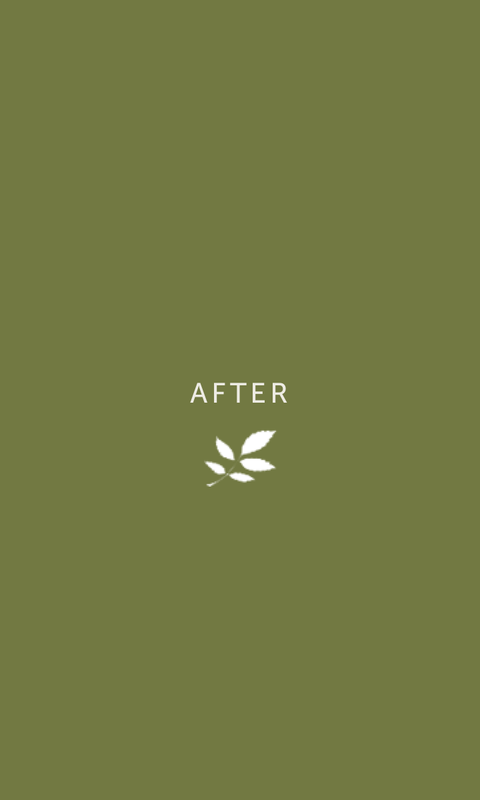 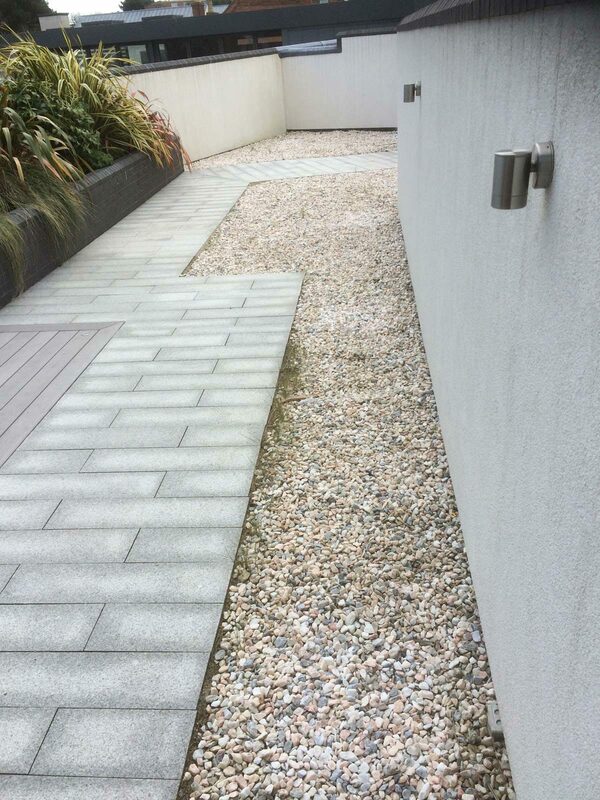 With an enviable position in one of the UK’s premiere seafront locations, our client was looking for a highly sociable, fun and low-maintenance solution to an uninspiring front courtyard garden. 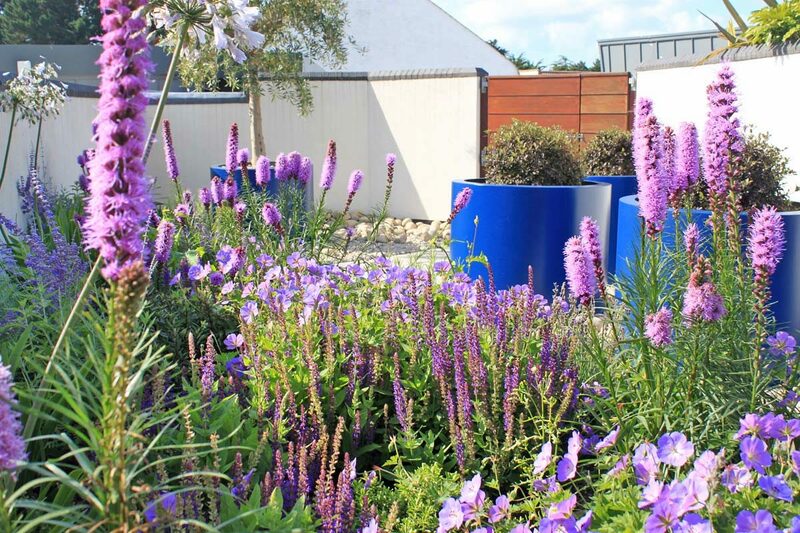 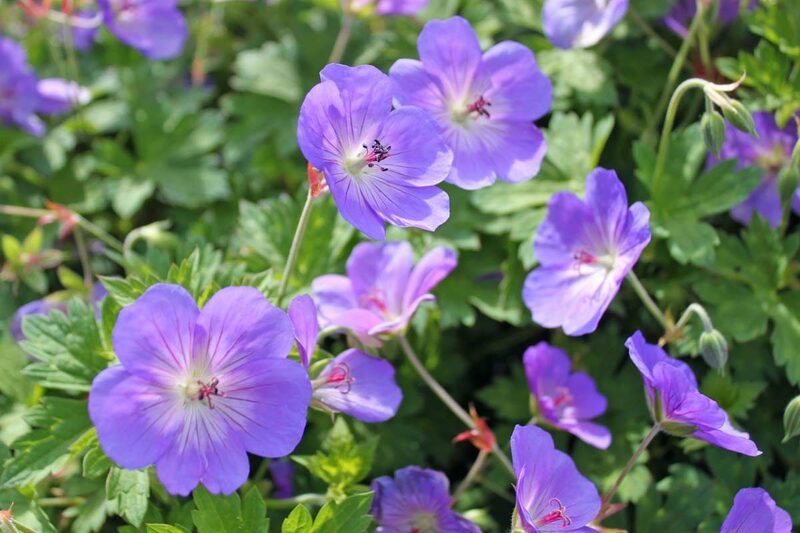 Our planting design plans combined evergreen structure with flowering perennials for year-round interest, including Perovskia, Agapanthus, Liatris, Lavandula and Rosmarinus. 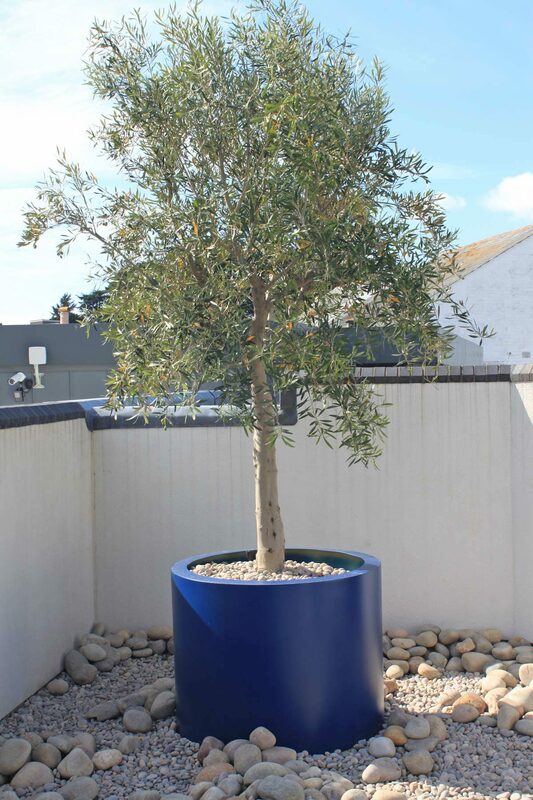 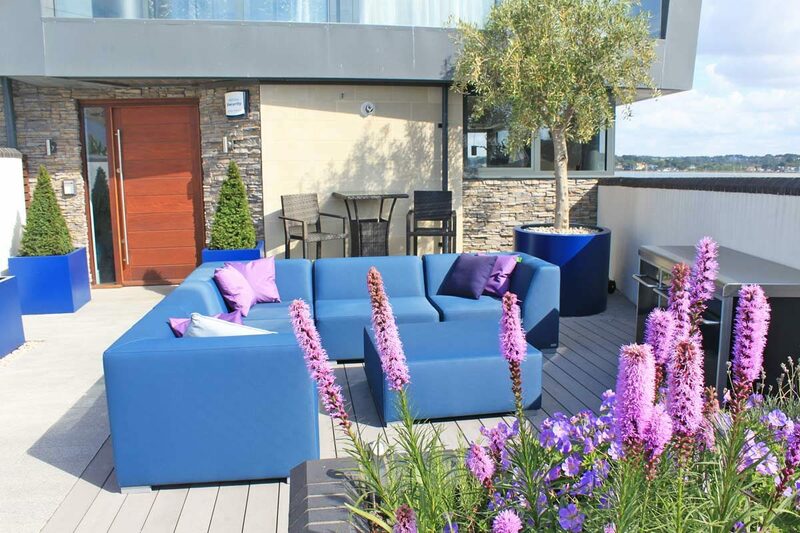 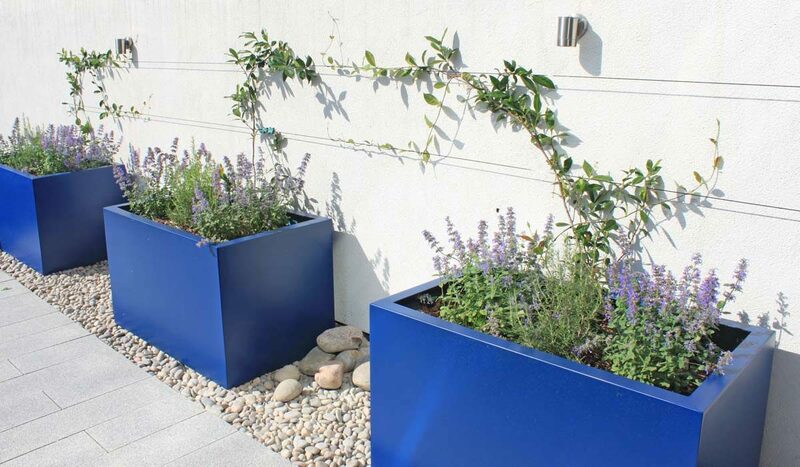 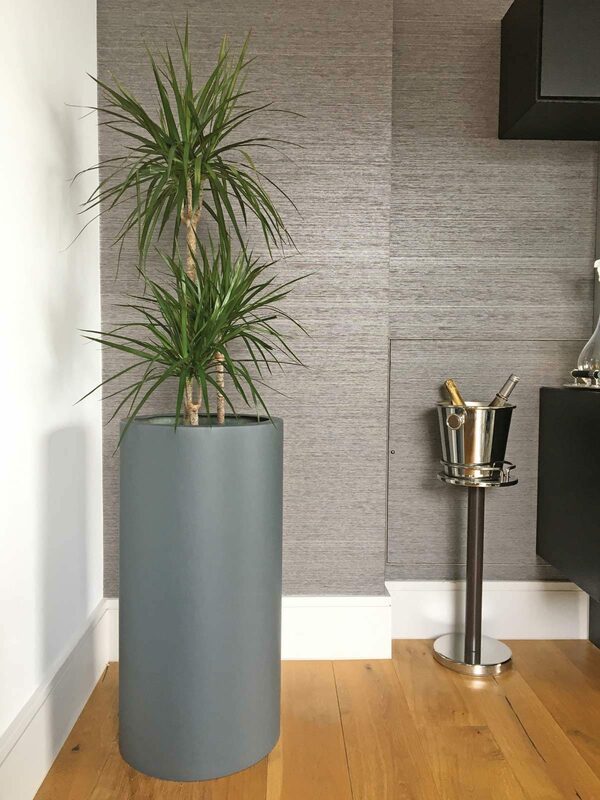 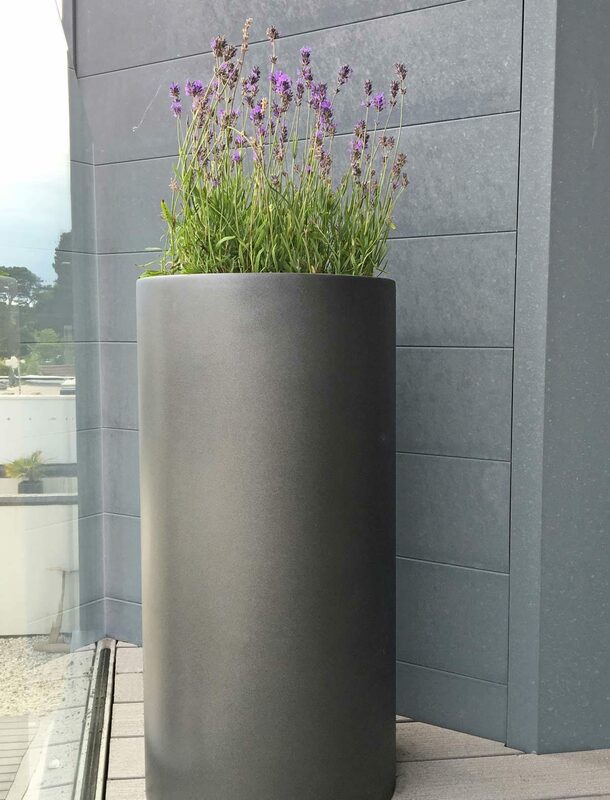 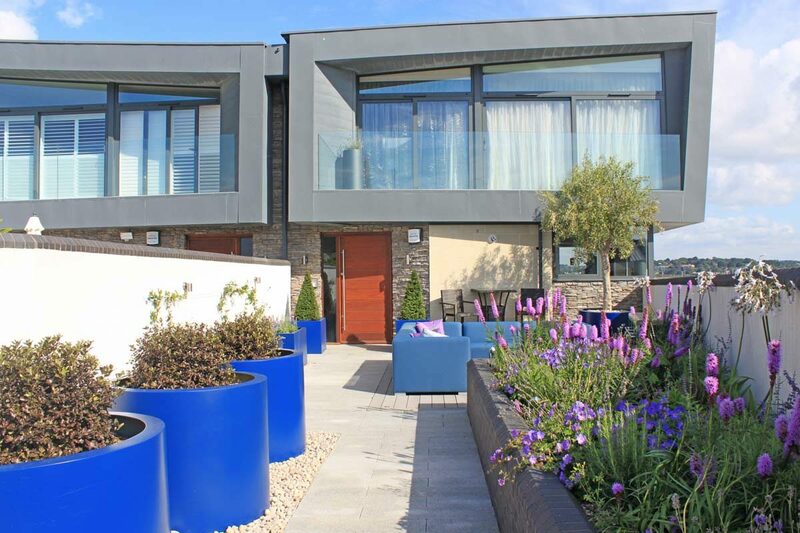 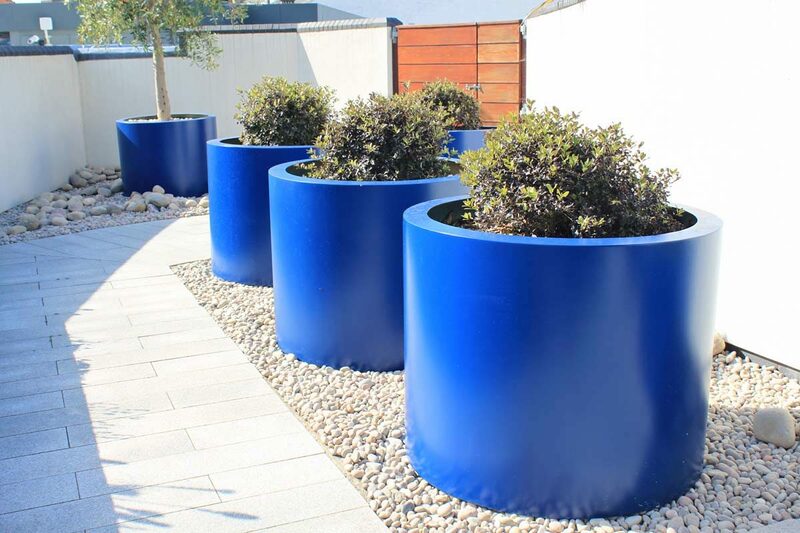 Bespoke, powder-coated, glass reinforced fibre containers were designed for the balconies and courtyard. 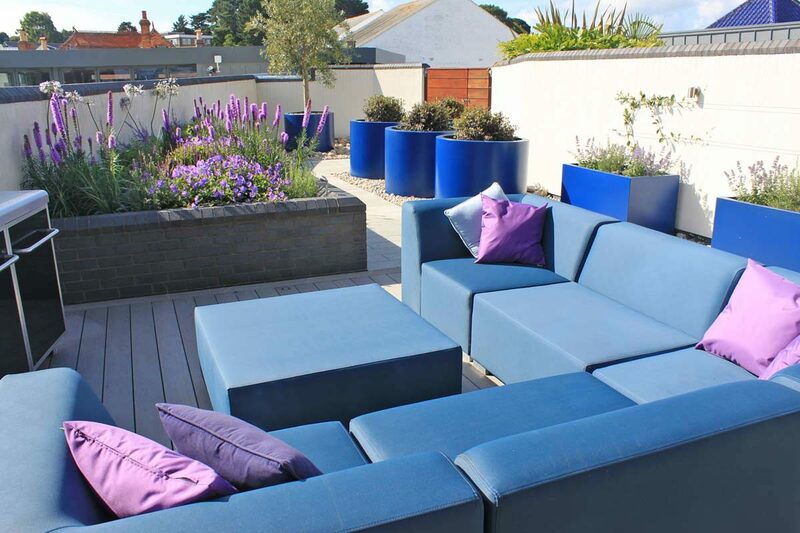 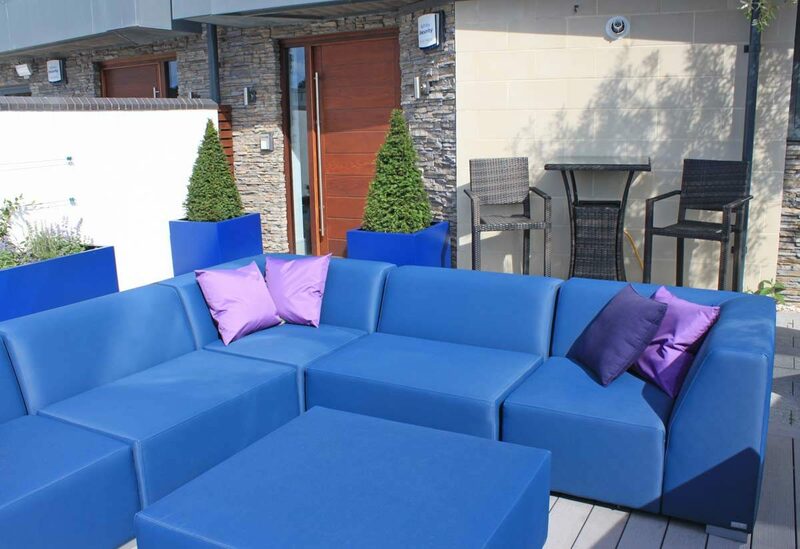 A colour-coordinated L-shaped outdoor sofa and BBQ complete this garden for entertaining friends and family.